In a few previous posts, I casually threw out the term stick boy. Without thinking, I assumed everyone would understand that phrase. Although I would love to take credit for the term, I first heard it from a co-worker back when I lived in Florida. That employee referred to me as a stick boy. He was built and I was scrawny. I could have taken offense, but I didn’t. I knew he was right. I needed to lift weights. A stick boy is an adult male, usually an ectomorph, that is lean with no muscular development. They often have the physique of a 12 year old girl: all arms and legs with no chest. Seattle is the mecca for the stick boy. Stick boys can be in great shape. They often excel at sports such as running, cycling and skiing, where being light and having long limbs is an advantage. However, since the arms are long and the wrists are small, sports or exercises that require grip strength or moving weight are more challenging. Image from How to Eat Right For Your Body Type by Dr. John Berardi. Typically Ectomorphs are taller and Endomorphs are shorter. Other than that this image is a good representation of somatypes. I could have accepted my lot in life as a stick boy, but I hated it. If you are a stick boy and want to do something about it, lift weights, avoid alcohol and get plenty of rest and in a few years you too can become a former stick boy. Previous The End of Summer in Seattle? Let me put in my dissenting 2-cent opinion as a fellow ectomorph (6′ .5” 165lb). I’ve tried the high-protien, high-calorie diet combined with varieties of heavy lifting (bent row, curls, bench press, etc.). The bottom line for me is that it did grudgingly result in the build-up of muscle mass. But the only way to get there was to completely eliminate all cardio-type work. Running, rowing, swimming, biking are all out. In the end I was 185 lbs with a lot more muscle but I felt terrible. Cholesterol numbers were higher than ever. Resting pulse was high. And eating the required amount of protien and calories made eating seem like a full-time job. In the end it felt like I was putting forth a tremendous amount of effort to be something that I am not. Something that I don’t necessarily even want to be. It felt un-natural and unhealthy. From 1994-2001, I made minor gains. Then in the summer of 2001, I discovered high-weight, low-rep training and everything changed. 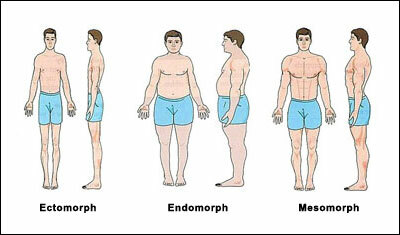 Most weight training programs are written for endomorphs and mesomorphs, which fail on ectomorphs. Today I’m far healthier and leaner than I was when I was a marathon running stick boy and I don’t do ANY cardio these days unless it is directly involved with an activity I’m doing (hiking). My resting pulse is still under 60. 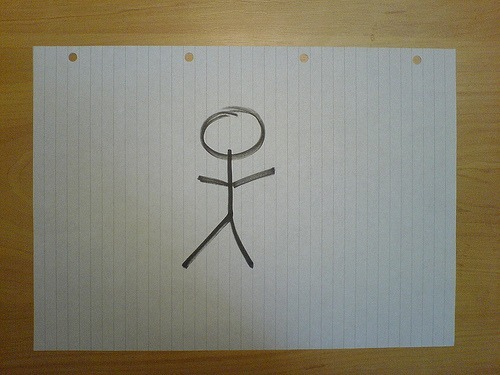 I also am a stick boy… often referred to as stickman, stringbean, or simply tall drink of water. I find myself drawn towards the cardio activities such as cycling, tennis, raquetball, hiking, etc. I HAVE tried my hand at lifting and such, and did seem to gain a few pounds of muscle and strength and DID feel better for a time. As with anything that requires work that’s not super fun to me, the weight lifting slowly ebbed and I am back to my 6’6″ 180ish lb self. I’d love to be 190 or even 200 if I could do so without having too much fat. Anyway, I agree with dhammy that you have to be who you are to some degree, you can make minor changes to your physique by changing your exercise and eating habits, but at 34 I don’t expect any real dramatic change in my body type. I’m probably drifting off subject a bit and might devote a separate blog to this, but the #1 problem ectomorphs have is the quest for weight over strength. Strength gains MUST be the primary goal, not weight gain. Think of martial artists or power lifters (not the heavyweight division). They are developing a super strong foundation on their framework. Efficiency. Only once you have that can you safely decide to gain weight (eat more, more sets – not reps). Bulking up before the strength gains only works for mesomorphs and college kids in university studies. Weight gain should never be confused with strength gain. 2. Eat a LOT of food with a strong focus on protein. Supplement with 2-3 large protein shakes per day. One in the morning, one at night and 1 after all workouts. 1- I used a 5×5 with amazing results. 5 sets of 5 reps. I NEVER worked to failure and I was NEVER sore. 2- I’m still learning a lot about caloric intake and altering my opinions. I’m not a big fan of liquid calories. A single post-workout shake is all I ever consumed. 3- Steady state aerobics (cardio) suppresses testosterone. Not good for muscle building. It also elevates cortisol levels, which isn’t good for getting lean.